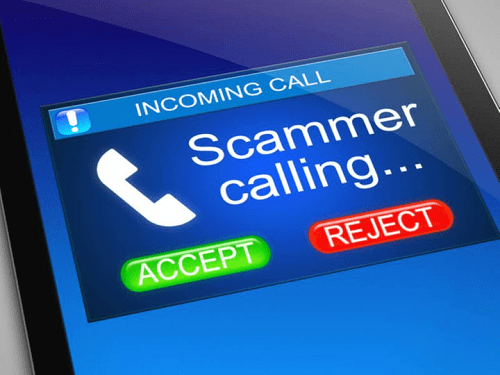 2.7.19 – Pikesville, MD – Maryland State Police are warning the public about a reported telephone scam in which the caller cloned a state police number and requested personal information from people as part of a criminal investigation. A woman called the Maryland State Police on Thursday morning and reported she had received a call in which the caller ID on her phone showed “Maryland State Government” and the number 301-475-8955, which is the number for the Maryland State Police Leonardtown Barrack. When she answered the call, the person on the other end told her she was a suspect in a drug trafficking investigation and that she needed to provide them her Social Security number and other identifying personal information. This is just one of several phone scams recently reported to Maryland State Police. The Salisbury Barrack reported that some of the scams reported include victims receiving telephone calls where they are threatened with arrest or the continued detention of family members if they do not provide money, account numbers or purchase a re-loadable gift or credit cards. Another telephone scam includes the victim being called by a representative of the Internal Revenue Service and threatened in the same fashion. The Salisbury Barrack reported that other victims have had their computers infected with a computer virus and were prompted to take immediate action in order to salvage the computer, which included purchasing up to $2,000 in gift cards to pay the company to correct the issue. This came after the Maryland State Police Cumberland Barrack was recently inundated with numerous telephone calls regarding a scam in which a man or woman claiming to be from the Social Security Administration requested information and threatened to have the police respond to their address to arrest them. These scammers are using scare tactics and sophisticated technology to attempt to take advantage of the public. If you are a senior citizen, or have a family member that is a senior citizen, please be aware and ensure they are aware of these scams so they do not fall victim to them. The Maryland State Police, along with government agencies like the Social Security Administration or the Internal Revenue Service, would never solicit such information or services over the phone from any citizen. Never give any personal information over the phone, and only allow a qualified reputable computer technician the ability to repair your computer should it become infected with a virus. Many of these telephone scams are disguising themselves by utilizing local telephone number prefixes. Anyone who receives such a phone call should hang up and then contact their local state police barrack. Callers may remain anonymous.